Hub Music and Vending is a local leader in providing Amusement Games, Pool Tables, Dart Boards, and Jukeboxes. 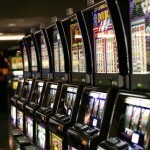 In addition, we provide video lottery machines from a variety of providers. More information will be posted here eventually regarding our new and used gaming solutions for your business. Copyright © 2010 Hub Music and Vending.